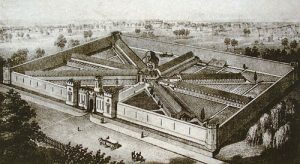 Eastern State Penitentiary, very large, was built over a number of years (1822-1836). 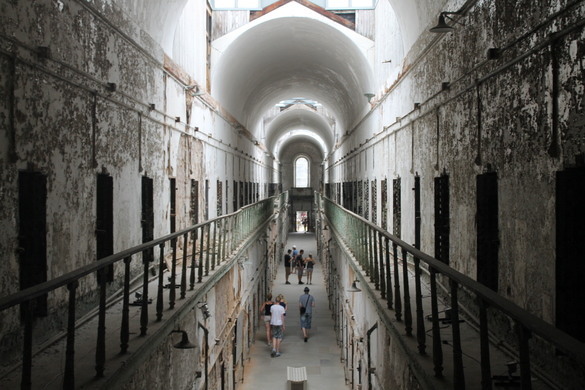 Eastern State Penitentiary Admissions Books A and B for certain years has now been digitized. Book A covers prisoners’ name, crime, sentence length, place of origin, race/ethnicity, time in and time out, and comments on moral and educational condition. Some also include notes on previous convictions or progress made while incarcerated. The years are 1830 to 1839 but those are admission years. Additional notes include if they died in prison or were pardoned. Book B covers 1839 to 1843 and also includes admission with the following details: name, crime, sentence length, place of origin, race/ethnicity, time in and time out, and comments on moral and educational condition. Some also include notes on previous convictions or progress made while incarcerated. Either of the two books or both can be downloaded, note the button below each title and description so you can download it. It will be in spreadsheet format, so very easy to read. There can be some really lengthy comments and descriptions on each prisoner. Some comments like: ‘Mind evidently crushed and broken. 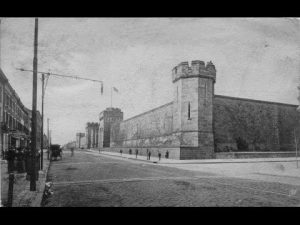 Supposes he will never be permitted to come forth out of prison.’ So some real telling insight there. If could prove to be very interesting if an ancestor were located in either of the admission books. Of course it if you did have an ancestor unaccounted for during the years 1830 to 1843 who had lived in eastern Pennsylvania, for sure you have to check the books. But even if they did not live in Pennsylvania, they could have been from a neighboring state and got in trouble with the law in Pennsylvania. The Eastern State Penitentiary on Fairmount Avenue in Philadelphia was once the most famous and expensive prison in the world, but stands today in ruin, a haunting world of crumbling cell blocks and empty guard towers. Its vaulted, sky-lit cells once held many of America’s most notorious criminals, including “Slick Willie” Sutton and “Scarface” Al Capone during the 20th century. 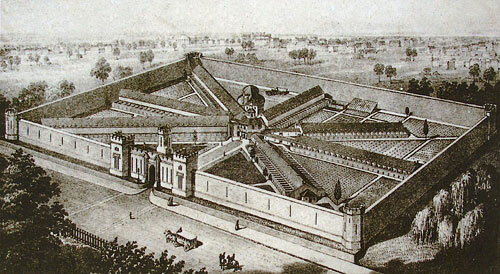 Today there are tours of this penitentiary.